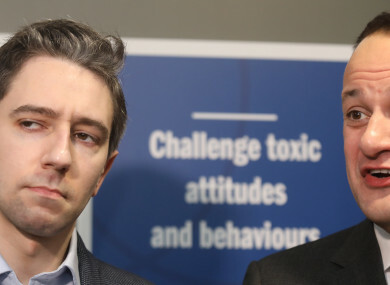 SINN FÉIN IS to table a motion of no confidence in Health Minister Simon Harris. The party confirmed the move this morning citing the cost overruns in the construction of the National Children’s Hospital. Harris has also come under pressure over the ongoing nurses and midwives’ strike. Fianna Fáil has criticised Sinn Féin’s move as an excuse to trigger an election and has said it will not support the motion. The party has committed to a confidence and supply agreement with Fine Gael until next year and has cited Brexit as a reason to maintain the current government. Email “Poll: Should the government collapse over the crises in health?”. Feedback on “Poll: Should the government collapse over the crises in health?”.